The Pros and Cons of Affiliate Marketing: Can You Make Money Online? Affiliate marketing is one of my favorite ways to earn an income online. The reasons for this is because the start up costs are relatively low but the rewards are great. 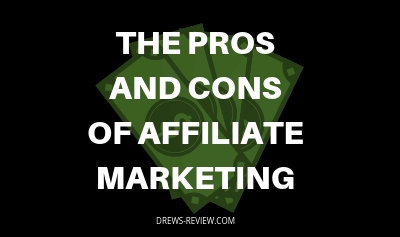 If you are looking to get into affiliate marketing, you should really understand both the pros and cons of this business model. In this article we will discuss both, so that you can decide for yourself if this is for you or not. To get started with affiliate marketing you don't need to invest much. In fact, if you promote products on Youtube you could do it for free. For the cost of a domain name and hosting, you're looking at just $100 to start. 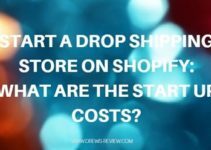 That's a heck of a lot cheaper than any other business start up cost I can think of. You don't need employees, a location, utility bills, etc. All you need is your laptop, an internet connection and just under 100 bucks to start. Once you find the niche you want to work with, simply grab your personalized affiliate link from the vendor and display it on your website. Of course there is much more to this but that is essentially all affiliate marketing is. You don't need to be an expert and you don't need experience to do affiliate marketing. There are plenty of resources online to help you grow. If you are familiar with a certain subject and can find an affiliate program for it, then consider yourself an expert in that field. You simply just talk about your niche and provide affiliate links for products that will help out your readers. If you provide value, the money will come. My favorite of all is passive income. There is nothing like waking up in the morning and checking your stats to see how much money you have made in your sleep. Telling that to your friends or relatives will make their heads spin. As long as you keep maintaining your website or blog, your affiliate marketing site should pay off for years to come. Keep in mind some things trend, so whatever you are promoting could drop off but if you choose your niche wisely you could have passive income coming in for a long time. There are really no limits to what you can promote. It can be anything from physical goods on Amazon to informational products. If there is a niche you are interested in and want to know if an affiliate product exists for it, just go in Google and type "Your Niche" + Affiliate Product. You should be able to see some results come up. If not, search places like Clickbank or JVzoo depending on the type of niche you are looking to get into. If you create your own product you'll make 100% on that product if you sell it, but creating a product takes a lot of efford and investment of time and money. That's why I love affiliate marketing because the product is done and tested in the market already. You just have to find the people that are interested in buying it. When you find a product or products that are doing well, you can scale it's success by incorporating other advertising strategies. It can really blow up if you do it right. The other thing is to find other related products and include those in your offer, scaling even more. There is always a downside to every business model but fortunately with affiliate marketing the pros outweigh the cons. Here are some of cons of affiliate marketing that you should be aware of. Because you don't own the product, the affiliate can cancel the offer at any time. They could also change the commission structure or simply just go out of business. This however is more than a pain than a disaster because you can always substitute your offer with another. You'll just need to scramble quickly to get all your pages set up again. While some affiliates may pay you weekly, in some cases you'll need to wait a month or more before you receive payment. This is because a lot of offers may have a 30 day money back guarantee, so this time frame needs to elapse before you get paid. A minor inconvenience but it's understandable. If you don't mind the work, this should not be a problem for you. Your efforts will pay off in the end if you stick to it. Affiliate marketing although a simple concept, does require you to put your time in for research and your plan of attack. Once you get this down, your execution will be much shorter and things then become easier. There you have it. I hope you can now see how affiliate marketing is a business model that offers more advantages than disadvantages. 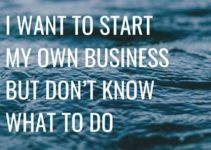 I encourage you to check out my article How to Make Money With Affiliate Marketing as your next step if this is the business model that appeals to you the most. If you want to see what my best course picks for 2019 are, check out my article on the best affiliate marketing courses. Do you agree with this list of pros and cons? Want to add anything? Comment below! Oh and Share this article too!